Talking to teens about love and relationships is awkward. They have questions, they say inappropriate things to test boundaries, they may have more experience than they should, they may witness unhealthy relationships at home, they may not even know what they are feeling. Relationships in the teenage years are difficult, and they need trusted adults to help them navigate how to have a healthy relationship. Teens who have relationships in high school are beginning to build the foundation for which they will base future relationships, so we need to do our best to set them up for success by remembering how emotional teens are and how hard learning to be in a relationship was for all of us. Adults forget (or suppress) what it was like to be a hormonal teenager. Let’s face it, hormones are a real struggle. They literally change a teen overnight and daily thereafter. There is a heightened sense of being on an emotional roller coaster, seemingly without end. As adults, we suppress the memories of those out of control feelings and place pressure on teens to feel differently when they begin talking about relationships. Our teenagers are in a constant state of change, and we need to give space for them to feel what they are feeling when they feel something. Teens trust adults who are willing to hear them out and listen to their reasonings for their relationships. 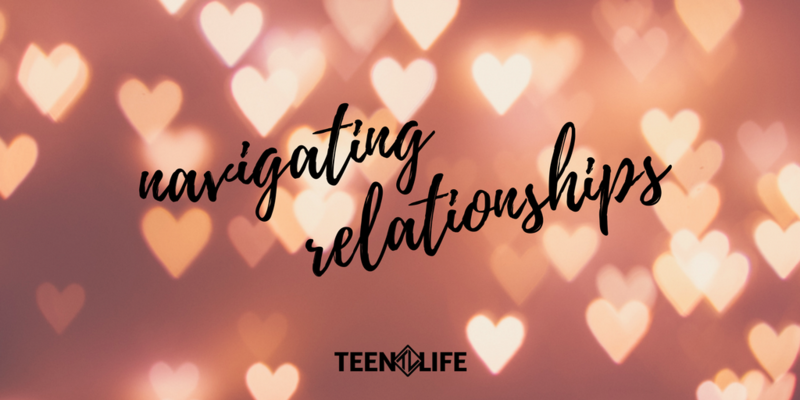 We should assist teens in navigating their feelings and help them understand the many aspects that come with being in a healthy relationship. Relationships are hard. No matter the age. Since I have journeyed into young adulthood, I have found it so incredibly easy to pretend like I know how to have a completely healthy and ‘normal’ relationship. Here’s the thing though: that is so not true. Adults (me included) like to pretend that things are better and perfect, but this lie can be so damaging when talking to teens. Teens are more responsive when they hear that an adult they respect has struggled or still struggles with creating healthy relationships. By admitting that relationships are difficult no matter how old we get, teens are able to make more informed decisions for their own lives. They can learn from our mistakes and our successes. Most of the teens we work with are coming from homes that do not have a model of what a healthy relationship looks like which can lead them to making some risky choices. Trusted adults should be the ones who model what is healthy and then allow teens to ask questions about relationships (with no judgement), no matter how awkward they may be. What do you like about the person you are with? Do you have boundaries that have been shared? What do you expect out of your relationship?